Release of ‘Forgo’ on Tuesday, February 12, 2019. 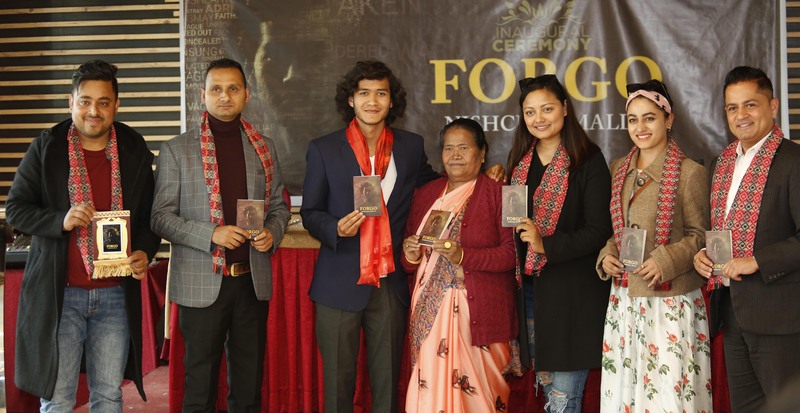 Forgo, a nonfiction book by Nishchal Malla, was released at an event in Baneshwor of Kathmandu on Tuesday. Present at the book launch were Nepali novelist Subin Bhattarai and actresses Reecha Sharma and Surakshya Panta. Speaking at the event, Bhattarai congratulated Malla on the book and urged him to keep writing regardless of what people thought about his first book. “It’s not easy coming out with your first book, which is why I came here to support this young man,” he said speaking at the event. Actress Sharma also spoke a few words of encouragement congratulating Malla on his book. She also reviewed the book saying that it was mature and did not look like the work of a young boy. “There are a lot of things I could relate to in the book. The character is mysterious and I feel that is what keeps the reader hooked. It’s a wonderful start by Nishchal and I hope I get to read a lot more of his work in future,” she said. Panta also congratulated Malla on the book and promised to give a review after reading it.